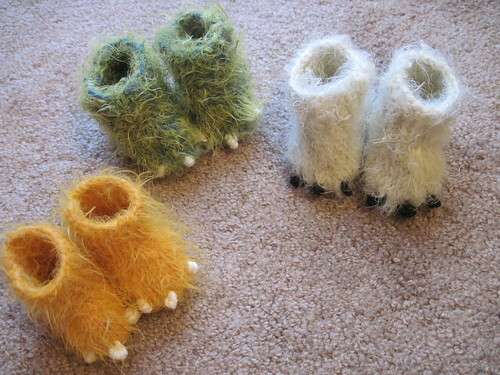 Monster Booties | Homesewn. By Kelly. 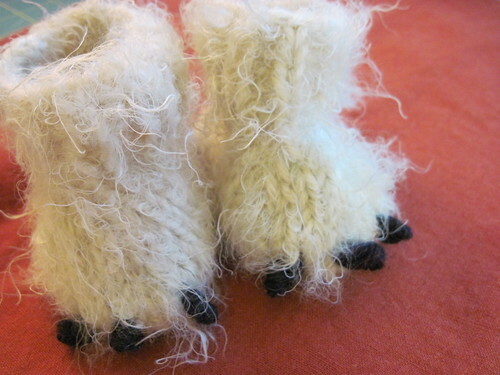 September 2012 – currently sold out except one Yeti (white) pair. Please email me at kelly AT hogaboom DOT org to order a custom pair. 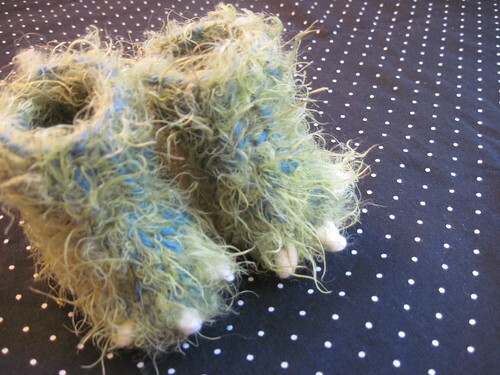 I made these using Shana Kreikemeier’s “Knit Monster Baby Booties” pattern, available from Ravelry. Ravelry users can also view details of every bit of yarn I used (and some of my pattern/project changes) at my Ravelry project. 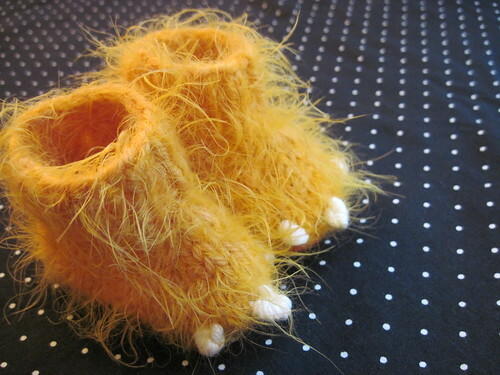 This entry was posted in available and tagged baby, booties, halloween, halloween (available), handknit, knit, monster, wool. Bookmark the permalink.